It's IntLawGrrls' great pleasure today to welcome guest blogger Lisa Laplante (right). 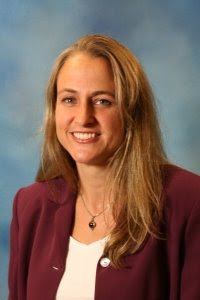 A Visiting Assistant Professor at Marquette University Law School in Milwaukee, Wisconsin, Lisa's worked in human rights for more than a decade, with institutions such as Human Rights Watch, the International Institute of Human Right in Costa Rica, and the Center for International Justice and Law. She also won a Furman Fellowship at Human Rights First. Lisa's field experience began as a researcher with the Peruvian Truth and Reconciliation Commission, about whose work she writes in her guest post below. It discusses her article entitled "The Law of Remedies and the Clean Hands Doctrine: Exclusionary Reparation Policies in Peru's Political Transition," recently published by the American University International Law Review. As indicated by her many publications on the subject, Lisa's work in Peru continued for several years; for example, as legal advisor for victims groups litigating before the Inter-American human rights system and as co-founder and deputy director of Praxis Institute for Social Justice. Lisa holds a J.D. from New York University School of Law, where she was a Root-Tilden-Kern Public Interest Scholar, a master's degree in education from the University of Massachusetts-Amherst, and a B.A. from Brown University with a concentration in Public Policy and Education.